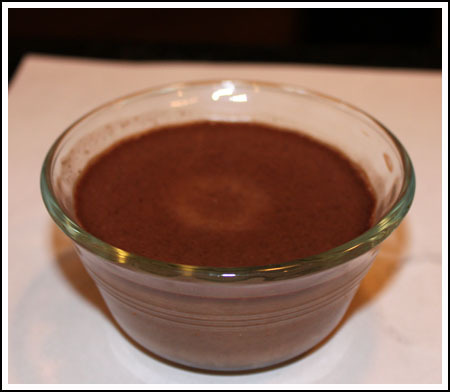 Pots de Creme is the perfect easy yet elegant dessert, and this old recipe from Epicurious is my favorite. I made a half batch the other night, but had to use clear glass custard cups because my prettier cups were packed away. Oh, and I was out of whipped cream. Despite the presentation you see here, it is still a great recipe. A fool-proof, easy, chocolate cake. This mini cheesecake has become quite popular here on Cookie Madness. If you’d like to make the full version, it’s from Taste of Home where it has 5 stars and 42 reviews. This is my version of an old Helen Corbitt recipe and it is so good! 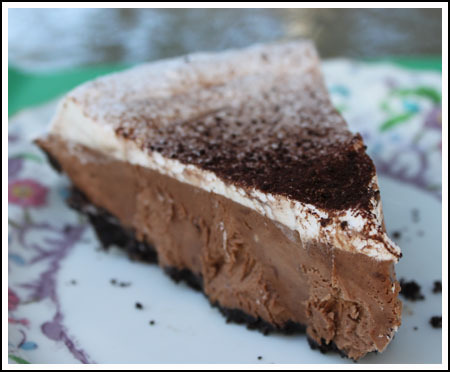 It’s much lighter than French Silk Pie, but just as chocolaty and satisfying. You can always buy your Valentine chocolate, but if you’re going to make it yourself, this is the way to go. 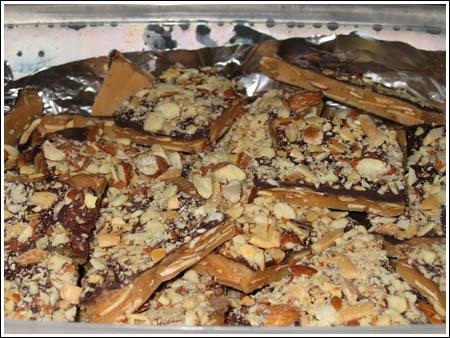 made the toffee again and again. its great. no matter who i make it for ….. they love it!! Hm…. guess what happens if, working on auto-pilot, you pour in the chocolate filling-without mixing in the whipped cream first-well, you end up with a 3 layer chocolate pie! I hope it’s going to be good still! Lots of options! I think I’m going to go with the pie. Looks good. Oh, the pie, Im sold! They all look SOOO Good! You can’t go wrong with anything chocolate! I am so glad you posted this. 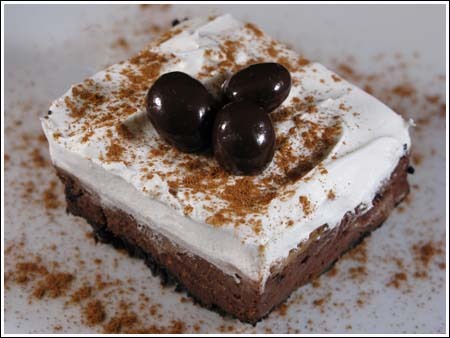 It reminded me of the chocolate marshmallow pie, which I’v e been meaning to make. Usually I would make a more elaborate dessert for Valentine’s Day, however, this one is perfect since I have a super busy weekend. I think I will make some chocolate hearts to decorate the top, but, other than that, I’ll follow the recipe as written. Oh! So many GREAT choices!! Maybe I should just make that chocolate bundt cake and forget everything else. 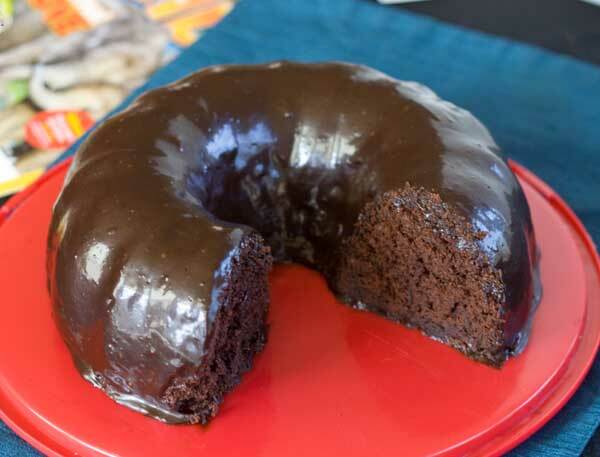 I’ve been looking for a good chocolate bundt cake for a long time.